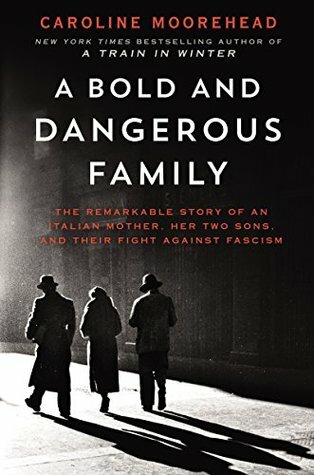 An intimate history of the family who mounted a campaign against Mussolini and the rise of fascism in Italy, one which ultimately cost the two sons their lives. A deep and fascinating bond appears to have built between Moorehead and Pincherle, so that it’s almost as if the biography is written through the mother’s eyes. Pincherle was a formidable woman, full of the noble spirit of the Risorgimento. She was also the leading Italian playwright of her age, and this lends the book an unusual literary quality. Moorehead’s narrative laces seamlessly between her own voice and that of Amelia, so that there are numerous observations and passages that hum with life ... Like any good biography, A Bold and Dangerous Family is about far more than its subjects, and it’s hard not to feel regular little shivers of horrified contemporary recognition at the rise of the populist demagogue Mussolini ... Moorehead’s portrait of the Rosselli brothers is at once a political history of pre-second world war Italy, a beautiful literary portrait of two brave young men, and a gripping tale of intrigue, espionage and escape. There have been a number of fine books about the Rossellis...None, though, have been this well structured, this readable, this deeply involved in the material of their lives. I finished it impressed, breathless and enormously moved. [Moorehead] tells the story of the Rosselli brothers and their mother Amelia, a playwright, with sensitivity, erudition and balance ... Denis Mack Smith, the doyen of British historians of modern Italy, wrote in 1997 that Carlo Rosselli was Italy’s 'most famous antifascist martyr.' Moorehead’s book is a fine tribute to the Rossellis, and particularly to Carlo, who might have turned into one of Italy’s greatest 20th-century statesmen. One strength of Ms. Moorehead’s book is that it offers a neat capsule history of Italy in the first half of the century, particularly Mussolini’s rise to power. She is especially good at conveying the atmosphere of Florence, where the fascist movement gained traction, and the blend of intimidation, inertia, fractured opposition and populist resentment that offered it such fertile ground ... one problem with A Bold and Dangerous Family is that its heroes don’t often seem as admirable or as capable as we might expect. Apart from their chronic obliviousness to the welfare of their nearest and dearest—Carlo never seems to have considered, for instance, that his escape from Lipari would entail the retaliatory arrest of his wife—there is their exasperating capacity to trust all the wrong people ... nother problem is in the narrative itself. 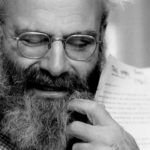 Ms. Moorehead has a novelistic feel for setting and character, but she often stumbles on the biographer’s pitfall of not being able to separate the relevant detail from the factoid ... Where A Bold and Dangerous Family does hit home is in its inescapable parallels to our current situation. Ms. Moorehead never makes the point explicitly, and she doesn’t have to. What did you think of A Bold and Dangerous Family?